Alligator Swamp Gator Statue Outdoor Sculpture. Watch out for the sharp teeth as you position this lifelike alligator poolside or in a garden to ward away pests or neighbors. 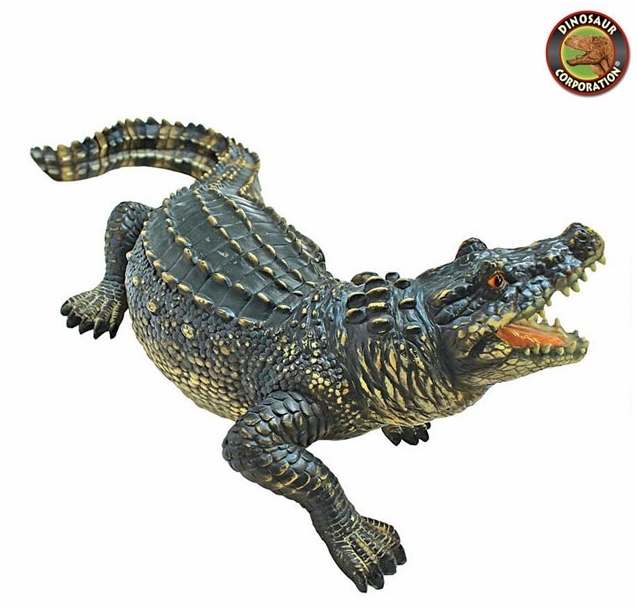 Cast in quality designer resin, this gator sculpture is hand-painted as the perfect house-warming gift with a little bit of swamp hospitality! * Size: 25" W x 10" D x 9" H.
* Opening of alligators mouth: 2�" W x 3" D x2�" H.